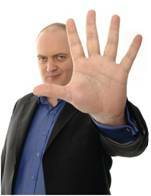 Dara O' Briain returns for one night only at The Royal Theatre Castlebar on Thursday 23rd February 2012. After selling out two shows in Castlebar last year Dara'O Briain takes to the stage in February with tickets on early release on sale from Friday 15th July. Dara O Briain is the biggest Irish comic to have emerged in recent years. Already a huge star in Ireland where he produces and presents the hit TV comedy review show The Panel, Dara has now moved from being a sold-out festival favourite in Edinburgh to selling out theatres across the UK and mainstream television success including hosting popular TV shows such as "Mock the Week", which he has just finished filming the 10th series of and another one is scheduled for Autumn. He has also been hosting "The Apprentice: You're Fired!" on BBC 2 and this finishes up this week. In addition he has filmed "Three Men go to Venice" with Griff Rhys Jones and Rory Mc Grath which went out on BBC recently and is the 5th one they have done together. Dara also presented "Have I Got News for You", "QI", "Never Mind the Buzzcoks" and "Live at the Apollo". The basis for his success is Dara's premier place at top of the stand-up circuit. Winner of the Chortle award for ‘Best Headline Act' in both 2003 and 2004, Dara has performed virtually all over the world, from Dublin to Shanghai, and at all the major festivals from Melbourne to Montreal. He has performed at the world famous Just for Laughs Festival Gala, and has appeared in the UK's ultimate showcase for entertainers, The Royal Variety Performance.